Is your door looking sad? We can save it before it’s too late. Our custom UV protection and exterior finishing is a process that will withstand Chicago’s blistering cold winters and extremely hot summers. Why have the high expense of replacement when you can restore your doors to their beautiful original “like new condition”. 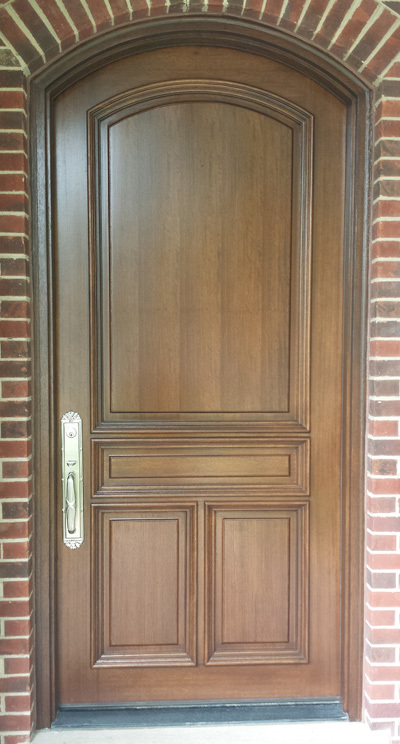 Restore the original beauty of your interior doors, windows, and trim for ONLY a fraction of the cost of replacement. We can remove the old paint and varnishes from your architectural treasures that are custom only to your home. Do you love you cabinets but are tired of the color? Is the layout of your kitchen perfect but the door style needs some updating? Best-Way has the solution that will fit any budget. Just a note to let you know how very happy I am with the beautiful refinishing of my kitchen table. This table is very special to me because it was my mother-in-laws. I am not sure if it was new when she got it but my in-laws would have been married 86 years this year. The table has been in my family for about 45 years. We have many wonderful memories around and about this table. Some happy, some very sad and some funny and now we can continue to have and make memories around this table for many more years. My children were very impressed when they saw the table and how beautiful it turned out. You have to be very proud of what you do because I am sure you make a lot of peoplehappy with your work. I know you made this family happy!